Beauty Foodie: Please, don't go, summer! Patio Week puts downtown Cleveland outside to enjoy. Please, don't go, summer! Patio Week puts downtown Cleveland outside to enjoy. Please don't go yet, summer. I just....can not.....bare the thought! The rest of CLE - heck, the entire Midwest - shares the sentiment of hoping for a few more weeks of summer sun! While we can not change the seasons, we can celebrate what we have here. Its no surprise that it's often a "Cleveland holiday" when restaurant patios open and close each season. Embrace last days of summer and transition to fall with Downtown Cleveland Patio Week beginning September 12th! Take advantage of our last rays of sun and check out Downtown Cleveland Patio Week September 12 - 18. Similar to Downtown Cleveland Restaurant Week, Patio Week will feature $30 3-course dinner options and a $15 lunch option at select restaurants. A few restaurants are hosting tastings and educational events on their patios. Sweetness. Yep, all the hot spots have menus - check it. There are over twenty patios presenting prix-fixe portfolios of food. See the full lineup of restaurants celebrating Patio Week here. I'm dreaming of patio sunshine and Greenhouse Tavern menu already. Oh, another positive of Patio Week? 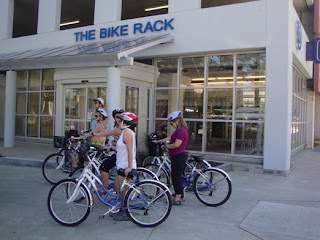 I won't have to sweat over burning off the fab food because I'm riding my bike downtown and parking at the new Bike Rack. If you're not a bike-type, parking is two bucks. 1.) Drive Your Car: Parking is $2 when you use this voucher which is valid for lots nearby participating restaurants. The $2 parking special will be available to diners beginning at 5:00p.m. each day during Patio Week. 2.) 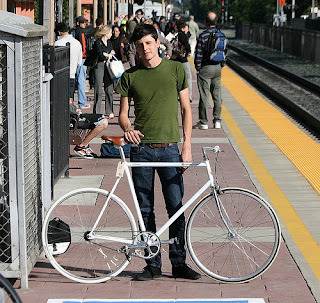 Do Like The Coooool Kids: Ride Your Bike or Take the Rapid. Bike It: the brand new The Bike Rack offers bike storage, showers, lockers and right next to the Q. Take the Rapid. Or the free Trolley: The E and B lines are free. Yes. F-R-E-E.
To celebrate - or perhaps beg the weather to reconsider? - get outside and embrace Patio Week, our world-class restaurants and, well, our seasons. Can't wait to try Pura Vida! I've heard great stuff about it. when did bar louie open down town? thats cool.